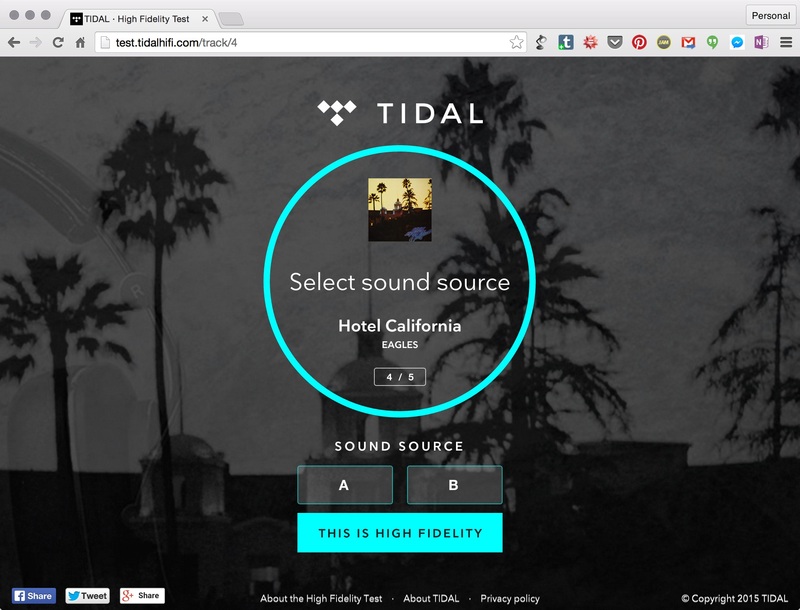 So, in case you haven’t heard yet, there’s a new “hifi” streaming service called Tidal. Don’t waste your time watching the weird press event with Madonna and Daft Punk, congratulating themselves like they’re at the Grammies. Don’t let yourself be mesmerized by the desaturated music video in which Jay Z’s friends all get together to drink champagne and talk about “making a stand.” Don’t worry about the European startup that made the tech, or sweat the pricing. Don’t even hand over your credit card in order to start a free trial. 2. 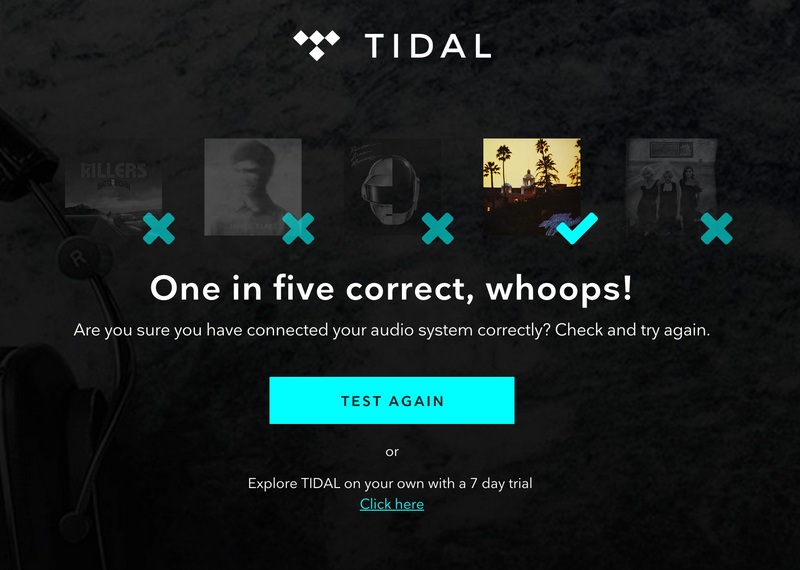 Go to http://test.tidalhifi.com/ and fire up the blind test. 3. If you didn’t like the tracks they offered, you might also grab a friend. 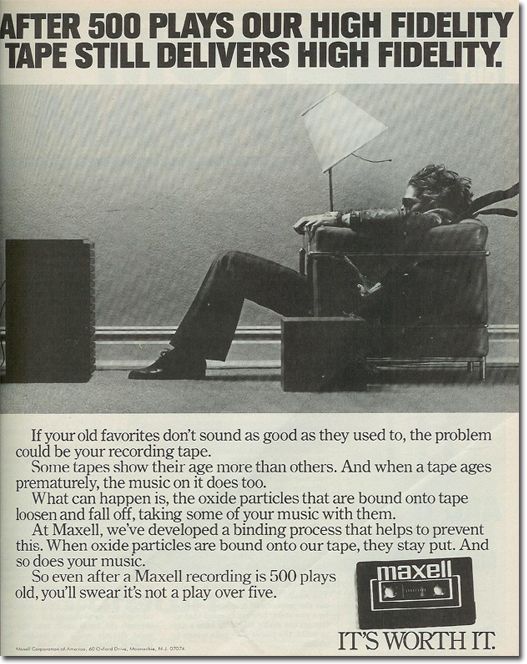 Sign up for two free trials – one with Hifi, one without. 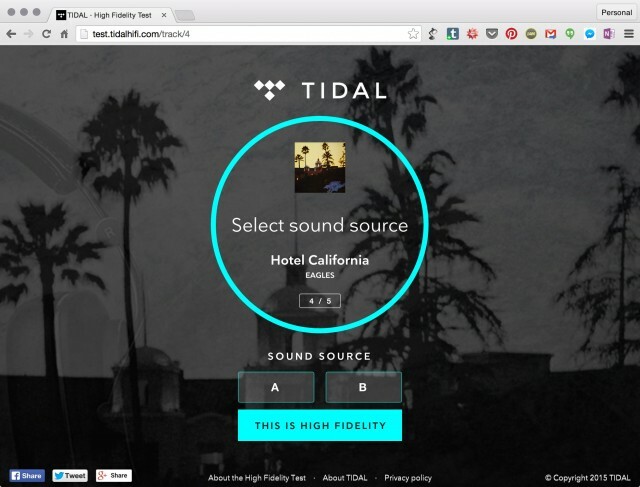 Open up different browser windows with the Hifi and non-Hifi accounts. Now, randomizing which is ‘a’ and which is ‘b’ (your friend will have to take notes). There. You can even stop reading now if you want, because whatever conclusion you reach is the only one that matters. And actually, if you really do prefer the higher quality in an A/B test and want to spend another ten bucks or ten Euros for it, great! Tidal isn’t just charging you more for the higher quality; you’re also consuming more bandwidth while using it. Buffering takes longer, even if you aren’t paying for that. I tried this test once, took a lunch break, came back and tried again. Totally different results. Mainly, it taught me that I mostly don’t want to listen to this music, and The Killers are a prime example of the Loudness Wars. I would say you deserve some reward for this, except now I’ve read your test results. Basically, you encourage anyone who “passes” to believe that they’re doing something extraordinary. Then, you tell them to share their passing result on social media and that passing means you “deserve” a 14-day free trial. Except that trial is offered to all new signups. So… come on. Update: you should actually take this test more than once. Tidal don’t rotate the tracks, which would give you a better sampling – we may need to stage some tests of our own. But actually, by not rotating the tracks, I was even more surprised at my results. Even taking breaks between listening, I couldn’t get consistent results, and this is listening through studio-quality DACs and headphones. I… really believe in 320kbps AAC now. Thank you, wonky mathematician people! Well done!